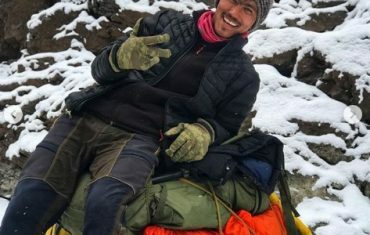 Ladakh administration is playing an active role in Chadar Trek 2019. They have ensured that satellite phones, medical facilities and doctors are available during the chadar trek 2019. Doctors are available at each campsite to attend to trekkers having health issues or having injuries during the chadar trek. The campsites where these facilities are available are Shingra Koma, Tibb caves and Nerak. In case of emergency, rescue helicopter can be called for using the satellite phones and the affected trekker is evacuated for further treatment at Leh. These arrangements have increased the efficiencies, addressed medical & safety concerns and enhanced rescue operations for trekkers visiting the chadar trek 2019. These a boon for trekkers as many were concerned about the chadar trek safety. Recently the Ladakh administration conducted a workshop on safety and cleanliness of Chadar Trek . This was done to ensure efficient implementation of the new regulations put in place for chadar trek 2019. This workshop was attended by more than 50 guides and around 10 travel agents including Altitude Adventure India who are the Chadar Trek organizers for the past 14 years. DC/CEO, LAHDC, Leh, Avny Lavasa presided over the workshop. Assistant Director Tourism, Wildlife Warden, DySP SDRF, President ALTOA and representative of Adventure Sports Cover 360 Degree were also present at this workshop. 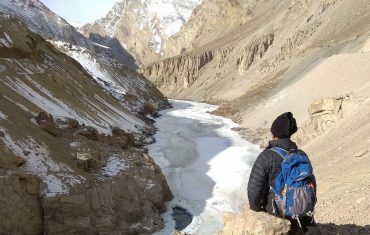 the safety of trekkers and protection of the environment at Zanskar. In the past few years there have been cases of loss of life during Chadar trek and harm to the fragile environment of the Zanskar region.This made the ladakh administration to take these proactive steps. During the workshop special stress was given on the need to bring professionalism and seriousness by implementing a streamlined mechanism to operate Chadar Trek 2019 considering the tough conditions like high altitude and extreme cold temperature issues in Leh. Wildlife Warden, Pankaj Raina apprised the participants about the regulations, facilities created and the steps to follow the procedures. President ALTOA spoke about the single window facility provided in Leh at TIC for pre medical check-up, insurance, wildlife permit and ALTOA NOC. He also informed about the three days mandatory stay in Leh with a pre medical check-up on the third day. He also told about smart rescue card for tourists and I-card for local guides, helper, potter, etc to avail any kind of free medical facility during the trek. Headed by DySP, SDRF Sonam Dorjey a team of SDRF presented demonstration on rescue in case of spinal injury, hypothermia, fracture and cardio pulmonary research station and informed about do’s and don’ts in case of any kind of accident or illness. We at altitude adventure India are committed to be the best Chadar trek organizers by following all the regulations and will ensure quality tourism. We have instructed and trained all our guides to take their responsibility to understand the operating procedures for the safety of trekkers and protection of environment. 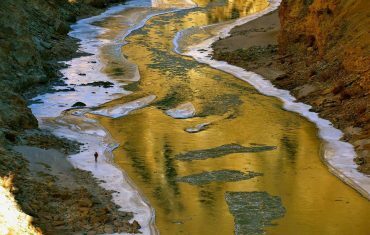 Prev PostWhy One Must Visit the Chadar Trek from Altitude Adventure?